It’s that time of year again, the big event in the gaming calendar has rolled around once more: E3. When all the big names in games gather in LA to reveal what they’ve been up to and what they’ve got planned. Just like every other year, Microsoft, Sony, Nintendo, Bethesda, and Ubisoft will all be hosting press conferences before the show floor opens to the public on June 12. Of course, it’s not everyone that can be in LA to watch events unfold so online you can tune into every event and watch it where you are at that moment, whether that’s lounging in front of your living room TV or perched in a bathroom cubicle at work with your smartphone. 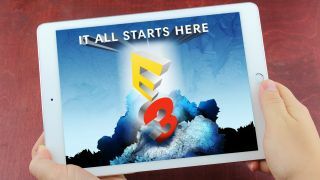 TechRadar is at E3 2018 in person and and we'll have all of our latest news and views in our E3 2018 news hub. Here, though, you’ll find the times and places to watch the main press conferences. We'll update every day to embed livestreams – just click through to the show you're most interested in. EA's press conference has been and gone but you can watch it all back right here. If you're looking to see the latest from Anthem, Battlefield V, FIFA 19 and Madden NFL 19 you'll find it here. And another one bites the dust. The Xbox Showcase has now given us everything it has. And it was a lot. Running just under two hours long, this presentation showed us everything from brand new Gears of War, Halo and Forza Horizon 4 to Microsoft announcing that it's acquired five development studios to bolster its offering in the future. There was even a hint about the development of the next Xbox. It's a rollercoaster and you can watch it for the first time (or again) below. Following the Xbox Showcase was a tough job this year but Bethesda really pulled it off. We saw Rage 2 and Fallout 76 gameplay, new VR games, a brand new IP, Elder Scrolls on mobile and, well, Elder Scrolls 6. There was a lot. So if you want to go back and see it with your own eyes just look below. Ubisoft's showcase started with a big song and dance and took us through titles such as Skull and Bones, Beyond Good and Evil 2, and Assassin's Creed Odyssey. It's a must watch and you can find it below. The PC Gaming Show has come and gone for another year but if you missed it (or you just want to watch it again) you'll find it below. This year had some exciting announcements including a new city building sim called Satisfactory and a huge 400-player Battle Royale. PlayStation did something a little different with its press conference this year and if you missed it you can watch below. If you're looking for some long gameplay footage of The Last of Us 2, Ghost of Tsushima, Spider-Man and Death Stranding you're in the right place. Nintendo doesn't do the big stage show, instead you'll be getting a stream that's directly intended for you in your home. After a presentation which will show off all of Nintendo's upcoming releases, you'll be able to tune into a livestream Treehouse, where Nintendo will delve into more detail with gameplay and developer interviews. This year you can expect to hear a lot about Super Smash Bros. And we're hoping for a little more news on the 2019 Pokemon RPG and Metroid Prime 4 too. Where can I watch it? You'll find Nintendo's Direct on its official E3 website or on its Twitch channel.